Is the Repetitiveness of the Pentateuch a Learning Aid? Years ago when I started reading the Bible (online access to the Bible here), I found it a real chore to get through books two through five of the Pentateuch — Exodus, Leviticus, Numbers, and Deuteronomy — because of the focus on the details of the Law and the Israelite genealogy, and especially the repetitiveness of the text. But now that I’m using that text to learn the original language, I’m finding that the repetitiveness is a learning aid. For example, I’m now reading Numbers 7, in which chieftains of each of the 12 tribes bring in one-by-one the same offering of dishes and flour and bulls and rams and so on. The repetition in the text is actually helping me to learn the Hebrew words for these things. And rather than boring me, that repetition is helping me to engage more deeply with the text. I don’t know whether other students have had the same experience, and I have no idea whether the text was structured that way partly on purpose. But I can say that it’s working out that way for me. Over the past year and a half, I’ve been learning to read Biblical Hebrew. I should say that I don’t think anyone has to learn the original languages to benefit from the Scriptures — nearly everyone in the world now has the Bible available in his or her own language, either the whole Bible or part of it. A good translation, especially one that includes the Divine Name, should be sufficient for a sincere person to understand the written Word. However, in connection with the Edhai project, I wanted to have a good feel for how people spoke in Bible times. While eventually Akkadian, Aramaic, and Greek will no doubt be valuable, I thought Biblical Hebrew would be a good place to start. To learn the language, I’ve been using a similar process that I used some years ago to learn to read Spanish. My basic process is to first read the passage in English, then read the same passage in the new language, but taking the time to analyze the passage until I can actually read it out loud with understanding. Biblical Hebrew presents some special problems that I didn’t have with Spanish — that is, the alphabet and the vowel points. I have some linguistic training, which has helped me to figure out the pronunciation of the consonants and vowels. However, I found that I needed to add some other aids beyond a Hebrew Bible. 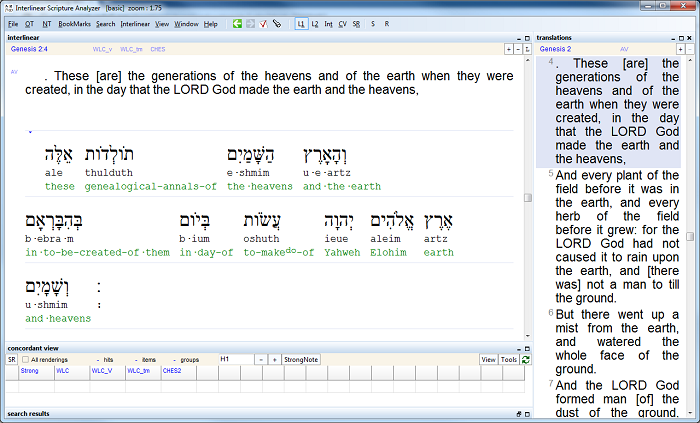 By far the most valuable resource has been the superb Interlinear Scripture Analyzer (ISA) software available free from Scripture 4 All. The application provides a literal word-by-word interlinear translation, as you can see from the sample shown here. 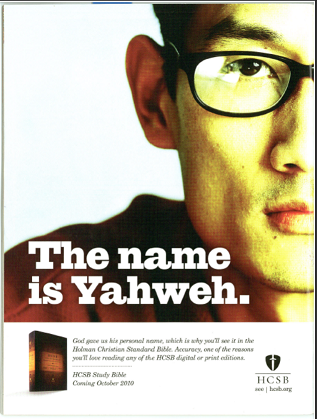 As you can see, in the Hebrew text and in the interlinear translation, the authors have faithfully included God’s name; they have used the common formulation “Yahweh” in their English interlinear rendering. ISA is the most important additional tool I’m using for my project, but I’ve also found it useful to listen to the Hebrew Audio Bible available from the Academy of Ancient Languages. I also have a Hebrew primer, which has been useful for understanding grammar; a Hebrew lexicon that I use occasionally to research words, and a set of flash cards from Zondervan to help build vocabulary. At first, I found I had to struggle for 10 or 15 minutes just to puzzle out a single word. However, now in that same amount of time I can read seven or eight verses with understanding. In some cases, I don’t even need anymore to refer to the interlinear. I’m now up to Exodus 19 in this exciting Bible reading project. Did Biblical Hebrew Verb States Reflect the Long Lifetimes of Early Humans? I’ve been intrigued by Biblical Hebrew’s lack of verb tenses (past, present, future) and what it might have to say about the psychology of the people who originally spoke it. 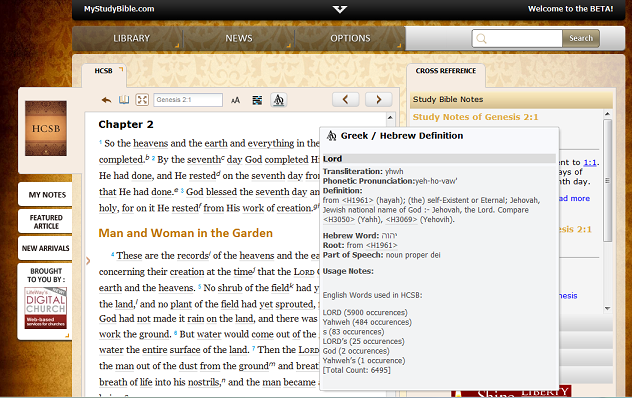 Considering the Bible account, it seems likely that Hebrew or something like it was the original human language. According to one way of thinking, the worshipers of the true God would not have gotten involved in the rebellious centralization and tower-building project of Nimrod and his cohorts, so presumably their language would not have been confused (see Gen 11:1-9). So the language of Jehovah’s true worshipers would have been preserved, and this would be the one in which the Bible got written. 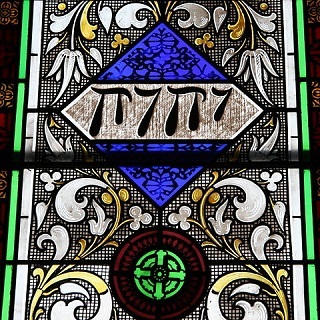 Although the Bible writers were able to express ideas of past, present, and future, time as a factor in Hebrew verb expression has a relatively low priority. Rather, Hebrew verbs are expressed in two states, perfect (action completed) and imperfect (incomplete action). The time as understood in most modern languages is not the same as that of the Semitic mind. The discernment of the time of an action is not of vital importance to the Hebrew thought pattern. It is necessary for the Indo-germanic thinker only to fit the action into his overemphasized estimation of time. The understanding of the condition of the action as to its completeness or incompleteness was sufficient generally to the Semite and if not, there was some word of temporal or historical significance which would bring time into focus. If, as the Bible indicates, Hebrew was the original tongue used in Eden, this lack of emphasis on verbal time may reflect the outlook of man in his perfection, when the prospect of everlasting life was before Adam and when life had not been reduced to a mere 70 or 80 years. An inscription on a pottery fragment recently deciphered at the University of Haifa in Israel shows that Hebrew was in use during the 10th century BCE, much earlier than generally acknowledged by mainstream scholars. An announcement from the University of Haifa (see “Most ancient Hebrew inscription deciphered“) says the inscription appears on a pottery shard 15 cm x 16.5 cm and was deciphered by Prof. Gershon Galil of the university’s Department of Biblical Studies. Galil has demonstrated that the inscription is Hebrew. Radioactive dating placed the fragment during the 10th century BCE, making this the oldest known example of Hebrew writing. This text is a social statement, relating to slaves, widows and orphans. It uses verbs that were characteristic of Hebrew, such as asah (“did”) and avad (“worked”), which were rarely used in other regional languages. Particular words that appear in the text, such as almanah (“widow”) are specific to Hebrew and are written differently in other local languages. 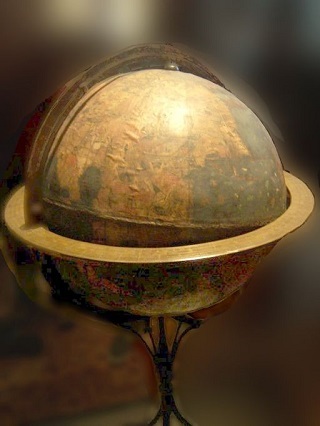 The content itself was also unfamiliar to all the cultures in the region besides the Hebrew society: The present inscription provides social elements similar to those found in the biblical prophecies and very different from prophecies written by other cultures postulating glorification of the gods and taking care of their physical needs. Galil says this finding argues against the mainstream view that the Bible was written during a later period and that the kingdom of Israel didn’t exist that early. It can now be maintained that it was highly reasonable that during the 10th century BCE, during the reign of King David, there were scribes in Israel who were able to write literary texts and complex historiographies such as the books of Judges and Samuel. Although the content does not appear to copy or quote from the Bible, the university says it is similar in content to such scriptures as Isa. 1:17, Ps. 72:3, and Ex. 23:3.